Sorry, but I won't include include this. The Kenny hats are kind of boring because you can only build Kenny with them. I included some of them in the beginning, but soon noticed most SP-Studio visitors prefer to create their own characters. It's good to have the classic Kenny hat because the SP-Studio started as a South Park fan project... but I don't feel like we need the specific frozen one. Finally it is easier to enter the contests. I wasn't able to include an upload button on the front page, but you can upload without registration on the "contests" page. I'd like to see Seperate Hand Poses. This kinda thing would be great for the Character Creator, see? I'm up for this to be added in. Yes, a lighter would be a good addition. Could we have the hairstyle be added? the hair is already here. Maybe just the hairstyle, the eyes, and the vest? Sorry, but this does not seem to fit the contest topic "children". Additionally only unedited SP-Studio pictures are allowed in contests. But I hope you will join next time with a fitting image! A very simple but effective job you did on Jack. And according to what I know he froze to death. So yeah that face is him frozen to death. My only feedback would be get rid of the sp-studio.de watermark (looks ugly, sorry Janina) and try to close the lower part of the eye a little more. 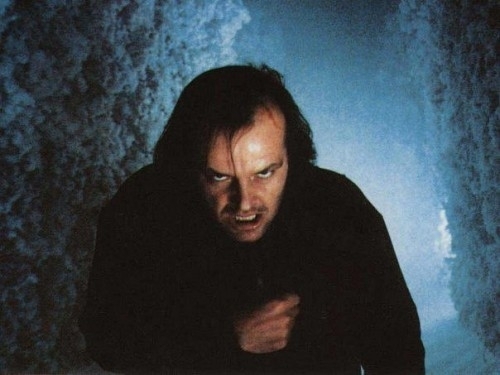 +Here is a bonus facts about Kubrick's the Shining. 1.Jack Nicholson improvised the line "Here's Johnny!" in imitation of announcer Ed McMahon's famous introduction of Johnny Carson on U.S. network NBC-TV's long-running late night television program The Tonight Show Starring Johnny Carson. Stanley Kubrick, who had been living in England since before Carson took over "The Tonight Show," had no clue what "Here's Johnny!" meant. Carson once used the clip of Nicholson as the introduction to one of his annual anniversary specials. 2.The shot with the baseball bat as Jack follows his wife was filmed 271 times until Kubrick found it good enough. He was really a perfectionist. I asume this is the movie version since in the book he used a hammer. I would for the colorsplash effect (one thing colour, everything else gray) keep the shirt and jacket grey instead of brown. That would improve the effect. Other then that. It is not a bad picture. I would myself have changed it so it looked towards you, made the angry teeth closed on each other and remove the middle part of the unibrow so they don't connect. Also when I look at the scene from the movie. Jack still has more hair then this picture. So maybe add next time some hair extensions + he was not shaven. A very well done picture, I love that you used different shades of blood to create a bit more variation. I only would try to add some color variations to the hair to give it the look of that it was covered in blood but not all was hit. 4) If you've got a taste for terror... take Carrie to the prom. Just as like almost every other picture. I am not familiar with the source. So I did some research on how the chracter looks and such. Well i recognized him of the pictures so that is a well done job. But what I noticed was that he wore a suit and a tie. I can understand in the version you made it's not that clear visible but if you look closely you can see the tie. 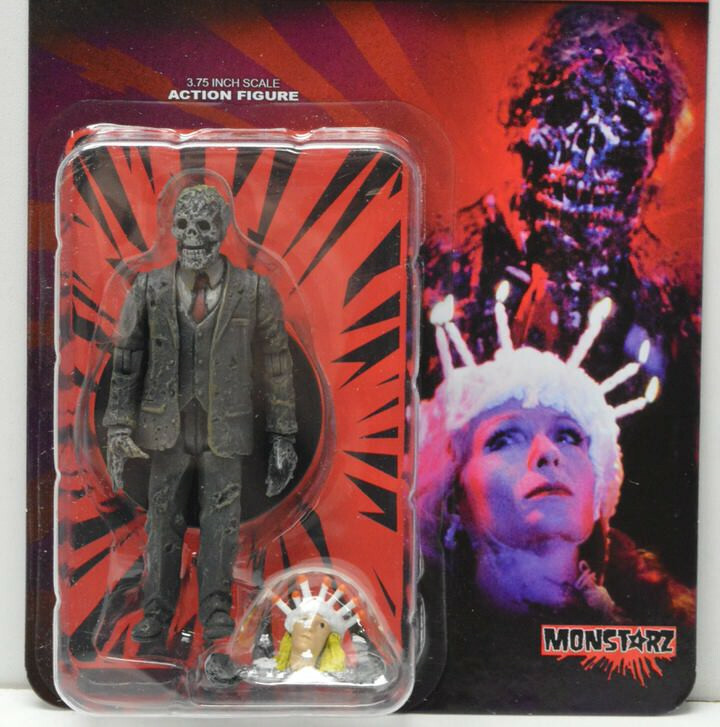 I discovered this as I looked at his action figure. Also I really would have loved to see the head cake. I think you would be able to do that if you used the glasses mask that covers a big part of the face. Colour it in skin colour, add some hair extensions to it and add the candles. I am not really that familiar with the source material so I did some research. I don't think she had a thick evil unibrow. I think if you were going for one version of Carrie you tried to recreate the poster one. If so maybe next time write that in the description. Also the picture is to big. It's not against the rules but it is nicer towards the others contestents so we can compare everyone on the same level. I am sorry, but the others are right. Chewbacca might look like an animal, but he acts independent and is not a pet to Han Solo. So this picture cannot count for the contest. Bt don't give up. I hope to see you next time. hey, im really sorry for what i said. star wars means a lot to me and a little more effort would have made all the difference, so sorry. Happy Star Wars Day! true that was a little too harsh, sorry man. it's just when i see something about star wars that gets on my nerves i get really upset, but Eggyslav's right i went too far and i apologize.